If you’re tired of rakes cramping your style, you’ll want to bring your bankroll to Americas Cardroom. The popular US-friendly poker site is using a considerable portion of the rake it collects to fund two progressive weekly point races, The Beast and Sit & Crush. Each runs from 12am ET on Saturday to 11:59pm ET on Friday. There’s no additional cost to take part in these weekly rake races since they are funded solely by the rake. In addition, the races are progressive. That means the prizes and players paid grow as more players participate. 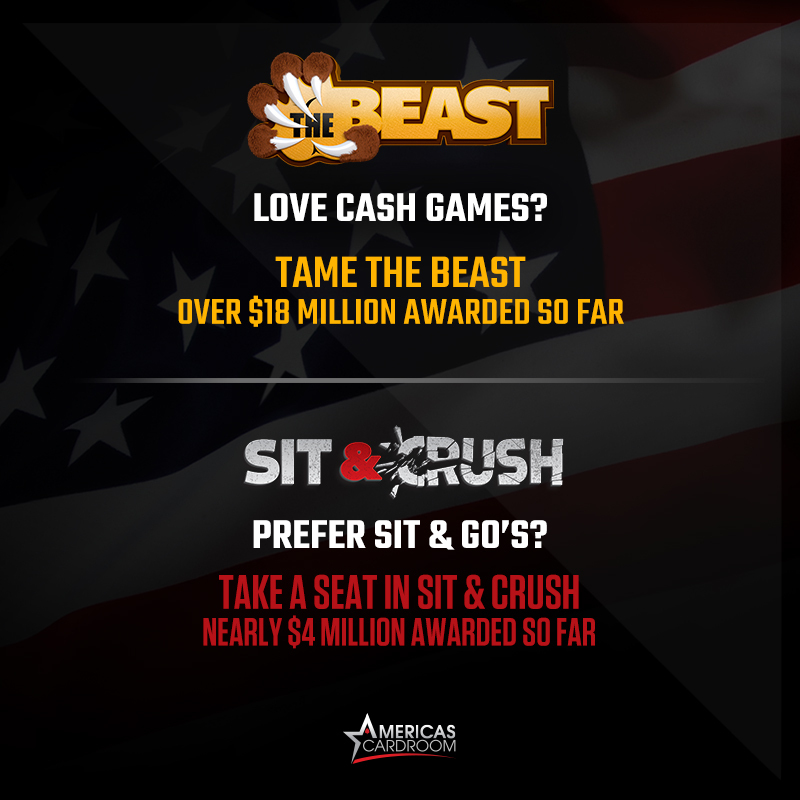 Also, the cash you earn from The Beast and Sit & Crush are in addition to Americas Cardroom’s Elite Benefits Program. Want even more? Starting July 16th, ACR is hosting the multi-day $5 Million Venom tournament. It not only has a $1 Million first-place prize, but it will feature the biggest guaranteed prize pool ever offered by a US-facing online poker site. 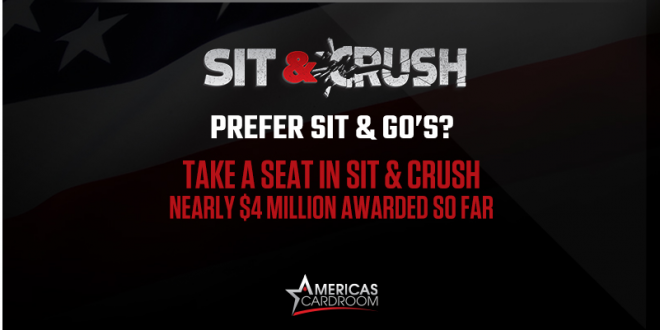 Finally, Americas Cardroom has a generous offer for new players. First-time depositors can claim a 100% bonus up to $1,000. Use one of 60+ cryptos and they’ll give you a 200% bonus instead.